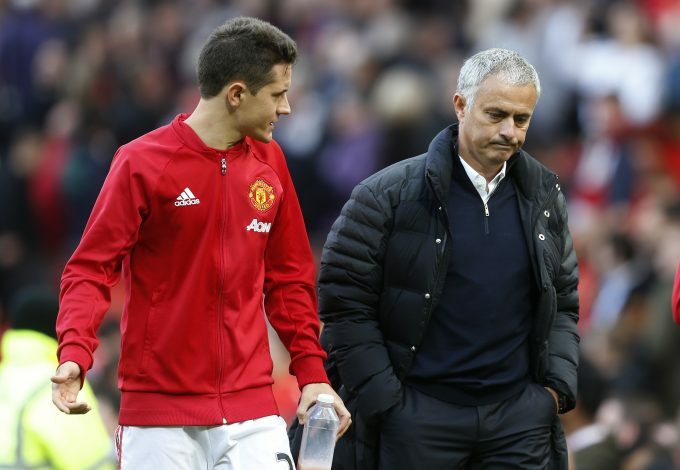 Manchester United are set to make full use of the January transfer window to sign two players, as Jose Mourinho attempts to strengthen the weaker areas of his side. The Portuguese manager has identified a lack of depth in the squad in certain key areas of the pitch, especially in central midfield and on the wings, according to M.E.N. United do have a wealth of options in the middle of the pitch, but none of them look set to be at the club in the long term, apart from Paul Pogba. Marouane Fellaini looks likely to leave the club after a four-and-a-half year spell, while Ander Herrera and Nemanja Matic are both approaching the twilight of their careers. Club captain Michael Carrick is also on the verge of retiring at the end of the season, so it is quite apparent that United have a lot of work to do to secure replacements for these players in the upcoming windows. The Portuguese tactician is also desperate to sign a winger, having found a shocking lack of depth in the position apart from Anthony Martial and Marcus Rashford. The club is reportedly targeting Brazilian youngster Malcom, who plays for Bordeaux in Ligue 1, and has scored an impressive 7 goals in 18 appearances. Christian Pulisic and Julian Weigl of Borussia Dortmund have also been linked with a switch to Old Trafford. Mesut Özil’s contract situation at Arsenal is still unresolved, and M.E.N claim that the German has been told he would have to run down his contract at the Emirates if he wants to move to the Theatre of Dreams. Mourinho is also keen on securing a move for a left-back, but is prepared to wait until the summer to do so.